Issued 3rd December 2018. Tropical Cyclone Owen has been officially named as a category 1 system off the QLD coast. The system may reach a category 2 while tracking towards the South West in the Coral Sea. 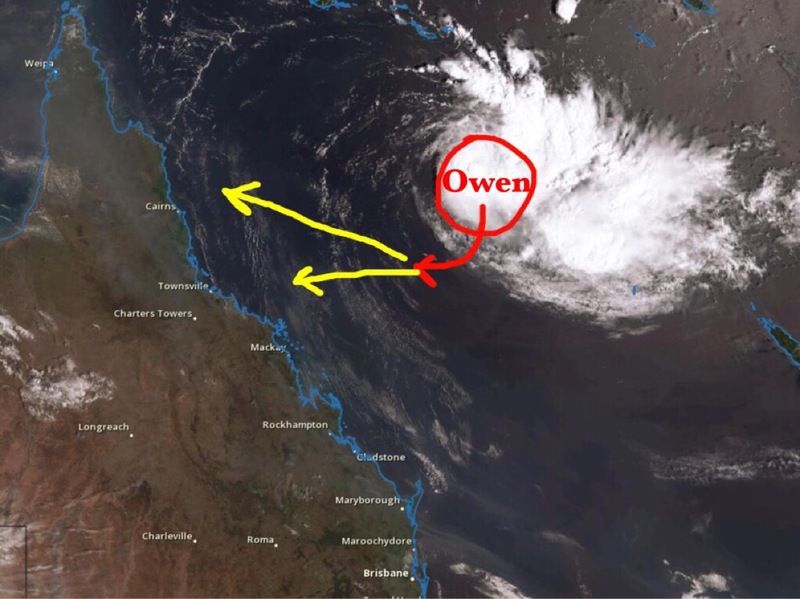 Owen is the earliest cyclone to develop in the Coral Sea Eastern region since TC Nute way back in December 1997. Could this be a sign of things to come this season? The system is currently located 960km East of Cairns moving slowly towards the South West. Due to favourable conditions with Seas surface temperatures of 28-30C, low wind shear and good polar outflow it is expected to continue to intensify during Monday and possibly into Tuesday. Late Tuesday and into Wednesday a strong ridge to the South is expected to steer the system towards the West to North West. Increased vertical wind shear and ingestion of dry air is likely to significantly weaken TC Owen to below TC strength on Wednesday. 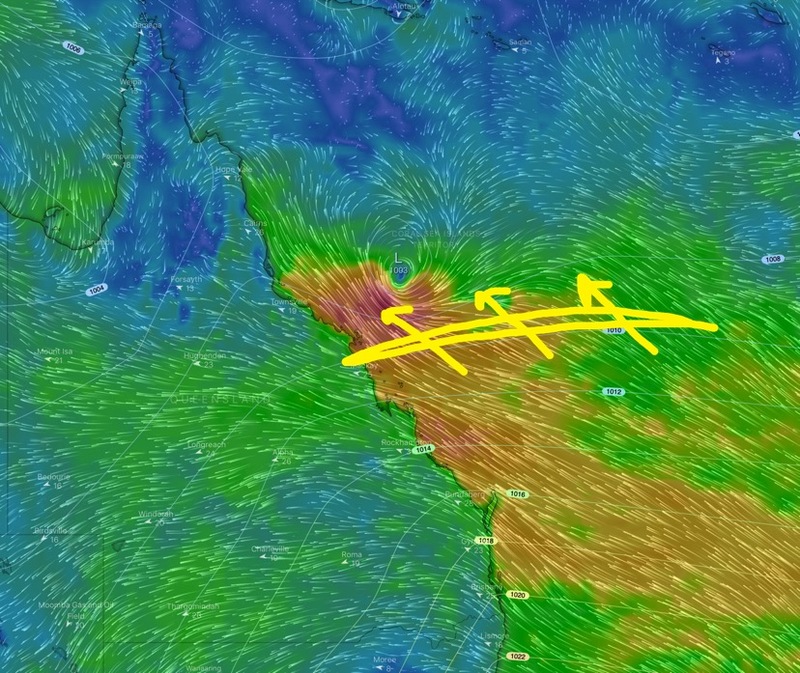 The remnants of the system; a low level circulation centre will be captured by the low level winds and push it towards the West or North West. Convective rain and thunderstorms will become limited to the South East quadrant of the system on Wednesday and Thursday. The high pressure ridging to the South and slightly lower pressure of the system in the Coral Sea is expected to cause an increase in winds along the QLD coast on Thursday, Friday and Saturday. There is great uncertainty where the remnants of the system will end up… somewhere between Mackay and Cooktown though it will have little rainfall by that stage.